I met Ann-Margret Hovsepian at the InScribe Christian Writer’s Conference in 2018, where she was the keynote speaker. We immediately felt a friendship and camaraderie, so I asked her for an interview for my blog. Jan: How long have you been writing and how did you come to it? Ann-Margret: I’ve been writing for publication for over 25 years, but that was never my childhood aspiration, even though the clues were there. Ever since I learned the alphabet, I’ve had an irrepressible affinity for the written word and, although I’m Armenian, the English language. My parents often found me poring over a dictionary or encyclopedia, or amusing myself with word puzzle magazines or my older sister’s English exercise books. In elementary school, I made good use of my parents’ old manual typewriter and every scrap of blank paper I could find to produce one-of-a-kind family newsletters complete with articles, jokes, illustrations and puzzles. However, I also loved science, so I studied chemistry in college for a few years before it dawned on me I was in the wrong field. When I was 20, I started working for Home Builder Magazine and, within four years, went from typesetting and proofreading to managing the editorial department, copy editing and copy writing. At that point, I decided to quit my job and launch out on my own, and have been freelancing since then. I am drawn to writing because I want to share good news with people and that’s one of the tools I’m skilled at using. For me, writing is the means to an end, not the end itself. Jan: Who are some of the people who most influenced your decision to write? Ann-Margret: My father saw the gift in me before I took writing seriously and he’s always encouraged me to write—not necessarily to showcase my talent but to share what God puts on my heart. He’s a pastor so he has always seen a deeper purpose for my writing. I’ve also had many editors and writers affirm my talents and that has helped me stay the course even when I’ve struggled with self-doubt. Jan: What’s your preferred genre and why do you write? Ann-Margret: Definitely non-fiction. I love reading fiction but do not feel drawn to write it. Again, writing is a tool for me. My real passion is communicating God’s love and truth to people, encouraging them and bringing them joy, and writing is an effective way for me to do that. Jan: How and where do you write? Are you a plotter or a pantser? Ann-Margret: I have to confess that I’m all over the place with my writing, even after 25 years of doing it professionally. My approach depends on the project, and mine have been varied. Some require more preparation than others, and for some I’ll handwrite notes first while for others I’ll just sit at my computer and start writing. Ann-Margret: Everything inspires me! Nature, books I read, conversations I overhear, smells, sounds, memories, songs, mistakes I make, people I meet, etc. I carry a little notebook around with me to jot down ideas. I don’t always use them but it’s a practice that helps me pay more attention to details around me. Jan: How do you research and how do you know you can trust your sources? Ann-Margret: Again, it depends on the project. I love interviewing people and hearing their stories or insights. I generally interview people I already know or people I’ve been asked by editors to interview. I will occasionally ask friends for suggestions. Of course, I do research online as well but I try to be diligent about fact-checking and tend to stick to reputable sources. Jan: What do you like most / least about writing? Ann-Margret: What I like most is the opportunity to touch people’s lives—to inspire and encourage them, or to share important information with them, to nudge them closer to God. It gives me a thrill when they respond and let me know my article or book had the desired effect. What I like least is all the hard work! The lack of inspiration at times, the fear, the rewrites, the brain drain when the sentences start to sound like an alien language but I need to keep pushing through. It can be discouraging at times. Ann-Margret: My best forum for communicating with a wide audience and letting them know about my writing has been Facebook (my business page). Since all my books have been published by traditional houses, however, I’ve been blessed with the opportunity to have them promote my work. Word of mouth has been great, as well as simply being involved in various areas of ministry and getting to know lots of people. Ann-Margret: Facebook and Instagram, but mostly Facebook because there is so much more space for writing longs posts and easily commenting back and forth with people following my page. Ann-Margret: I’m not sure I do! It can change from week to week or month to month depending on how many deadlines I’m juggling. Sometimes I do very little writing for long stretches and other times I’m writing well into the wee hours of the night just to get it all done. As a freelancer who works in my own home and lives alone, this is manageable. I think I probably thrive on the variety. I’m fairly disciplined when it comes to working hard and meeting deadlines, so I like being a bit less structured when it comes to managing my schedule. Jan: What are you currently reading? Do you prefer digital or print? Ann-Margret: It’s not unusual for me to be in the middle of two or three books at the same time. I recently starting reading Becoming Mrs. Lewis and Praying with Jane. I have a couple dozen books in my Kindle library but I really, really don’t like reading from a screen unless I have to. It can be practical when traveling but it’s basically print for me. Jan: What are some of your favorite things? What makes you unique? Ann-Margret: I think I collect favourite things. I have so many! The colour red, snowflakes, meringue, Calvin & Hobbes, quilts, vintage suitcases, gerbera daisies, polka dots, gingham, fireworks, peppermint tea, anything Narnia, anything Jane Austen, calligraphy, key lime pie…! Maybe that’s what makes me unique. I am delighted by many things. I’m curious and creative and find it impossible to be bored. Jan: What keeps you going in your writing career? Ann-Margret: First of all, the Lord’s strength and help. And then it’s the people around me: the ones who pray for me, the ones who read my work and ask for more, the ones who publish it. For me, my writing has very little to do with me. It’s not a hobby or something that I necessarily enjoy doing. My writing is all about my readers. 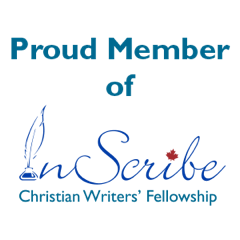 Ann-Margret: Especially in the last several years, just about everything I write is a reflection of my faith as I write almost exclusively for Christian publications. And that is the goal of my writing anyway—to share my faith and to help others know God more through my work. Jan: What are some things you learned from your own writing? Ann-Margret: I’ve learned things about the world around me as I’ve interviewed people and shared their stories, but I’ve also learned a lot about myself and God as I’ve worked on devotionals or feature stories on difficult topics. I’ve learned to be more open-minded and attentive. And, as I’ve worked on thousands of rewrites and revisions, I think I’ve learned just a little bit about humility! Jan: What is your ultimate writing goal? Ann-Margret: To be faithful and obedient in whatever opportunities God gives me to connect with readers, and to be truthful in everything I write. I no longer have any measurable goals regarding how many books I write or sell or how much money I make. Jan: Do you have any advice for beginning writers? Ann-Margret: As far as the craft of writing goes, my advice is to balance confidence with humility. You need confidence and courage to put your thoughts on paper but you also need humility to be open to direction and correction. Talent is important but it’s not enough. A major part of my success in being published comes down to my willingness to listen to and work with editors. In terms of the business of writing, I always tell novice writers to be willing to invest in their careers, not only time and energy but also resources. Choose a writers’ conference that is right for you, making sure it’s one with good networking opportunities, and save up for it if you have to. Nothing beats meeting the editors and publishers who want to publish what you are writing. 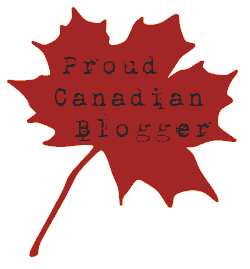 Jan: Thanks, Ann-Margret, for your willingness to share with us on my blog. I hope to meet you in person again soon. Readers, please check Ann-Margret’s Facebook page, blogsite, LinkedIn. It was fun to meet you in person, then to ask more questions for the interview. Thanks again and God bless.